This is a one-page PDF suitable for printing on standard letter-sized paper, or reading off of a tablet. 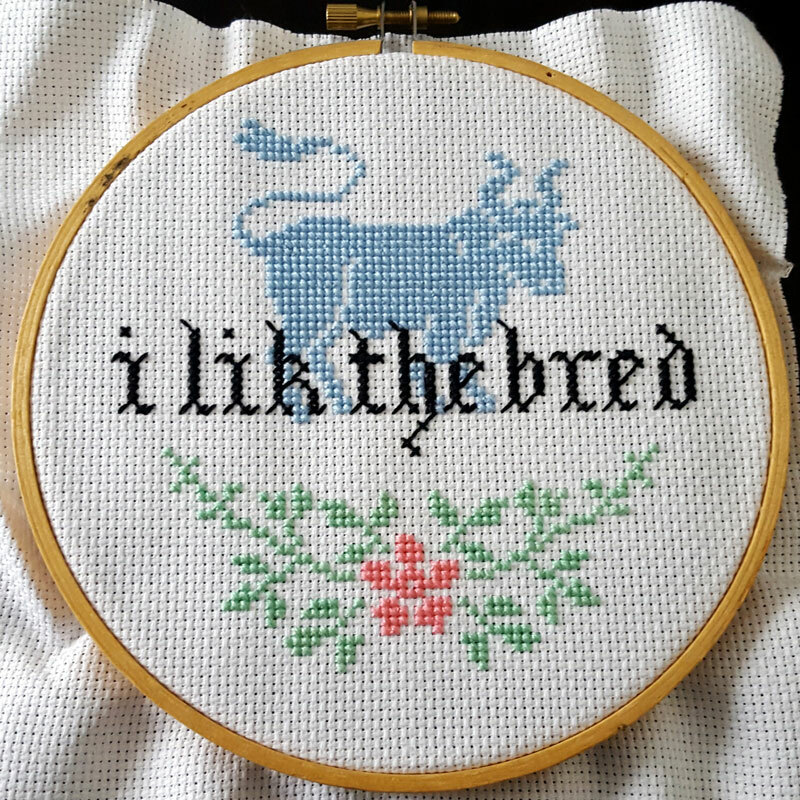 Designed to be stitched on 14-count Aida cloth with DMC floss and mounted in a 6-inch hoop, but hey, do what you want, I’m not the boss of you. If you want to sell finished hoops of this pattern, please consider tossing some of that money towards me or the antique pattern library (or both). I have no way of enforcing this rule, so just try to be cool about it.